The primary purpose of hiring a private investigator is to confirm or refute suspicions about a cheating spouse. Anything is better than living with uncertainty, particularly considering that most suspicions are proven true, as discussed on our Marital Infidelity page. However, it is also important to consider the possibility that your suspicions may, in fact, be false: The consequences of needlessly invading a spouse’s privacy is often behind the decision to not investigate at all. For this reason, we strongly recommend that you do not perform any covert surveillance on your own and leave the investigation to a trained professional. Our job is to ensure that you no longer live in doubt and fear yet our investigation remains between us and the client – unless we discover incriminating evidence on which you decide to take further action. As implied by our survey results, divorce rates are significantly higher in the southern part of the country, including Arkansas, Alabama, Louisiana, Mississippi, Tennessee, Kentucky, Georgia, the Virginias and the Carolinas. Reasons include marriages occurring at an earlier age, fewer individuals pursuing higher education, and many more. New York, on the other hand, is located in the Northeast where divorce rates are the lowest. However, the decision to have a professional investigate your suspicions should never be based solely on this fact. Putting your mind at ease – regardless of the result – is always worth the time and effort, and our team is dedicated to doing precisely that. 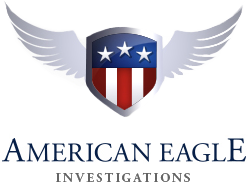 If you would like to learn more about dealing with suspected marital infidelity, please do not hesitate to contact your New York private investigators at American Eagle Investigations today by calling 212-344-8997.